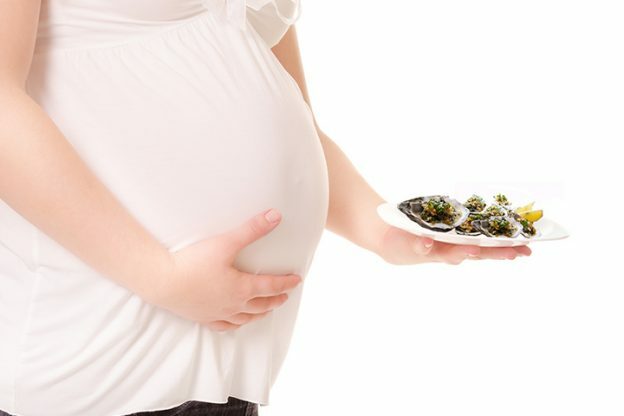 Why Limit Eating Oysters During Pregnancy? During pregnancy, some foods which are safe under normal circumstances become harmful. A lot of pregnant women may be concerned about adding certain foods to their diet while expecting, and oysters are one of them. Oysters are a gourmet delicacy and it may even be one of your favorite foods ever. But are oysters during pregnancy considered safe? 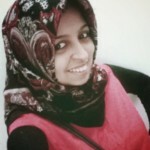 As during this phase of your life, you are responsible for yourself and for the baby in your womb. That is why a healthy lifestyle is even more essential at this time. So, to clear your doubts on oysters consumption here is our little guide for you. Oysters are low in calories, which makes them a perfect choice for those attempting to keep their weight in check. Oysters are also low in fat and rich in protein. In fact, they are an ideal lean source of protein to be added to the diet once in a while. Oysters are an excellent natural source of zinc. Just a 3 oz portion is thought to contain 67 mg of zinc, which is one of the many important minerals needed during pregnancy. Oysters are also good for your heart. They contain important healthy minerals including omega 3 fatty acids, magnesium, potassium and vitamin E, all of which are thought to reduce inflammation and lower the risk of heart disease. While oysters are packed with many health benefits, that may be beneficial for a pregnant women, medical experts suggest limiting the consumption of this seafood. Why? The thumb rule, to implement for safe eating during pregnancy, is to avoid consuming any animal meat that is raw. Under cooked or raw meat is thought to contain many bacteria that may lead to infections, and may sometimes cross your placental barrier, putting your growing baby at risk. Pregnant women have a suppressed immune system and oysters (raw) are thought to be one of the most common causes of seafood-related food poisoning. Raw oysters during pregnancy, under any circumstances, is non-preferable. Under cooked oysters may cause gastrointestinal problems and may also lead to severe infections for your developing fetus. In fact, it is also thought to cause neurological damage and miscarriage. Cooked oysters, on the other hand, do have many health benefits, and may be moderately beneficial to be consumed during pregnancy. Nutritionists and experts recommend the consumption of oysters in moderation during pregnancy. Raw oysters are to be avoided at all costs; however, cooked oysters can be enjoyed every once in a while during the second trimester of pregnancy. The FDA recommends limiting the amount of seafood during pregnancy as a lot of fishes and other seafood contain toxic chemicals that cause harm to the developing baby. It is also advisable to avoid consuming oysters during the first and third trimesters. Make sure that all the oysters that you consume are fully cooked (preferably under your supervision) and have a firm texture. It is also a good idea to consume oysters and any other seafood or animal proteins in their fresh form instead of storing them in the refrigerator for some days. If you do have any concerns regarding the consumption of oysters during pregnancy, visit your healthcare provider. Seafood may also interact with certain medications, so if you have been taking some supplements or drugs, you may want to discuss it with your doctor first. Don’t forget to share your views with us. Is It Safe To Eat Prawns During Pregnancy? Bleeding After C-section: How Long Does It Happen? Why Do Pregnant Women Waddle?